You want to take initiative at work? Great, make sure you do it right. To be honest, many management phrases are not well-defined: leadership, influencing, impact, and, the one I had the most questions about, taking initiative. I found myself struggling with how to strike a balance between taking initiative and asking for permission. #1 Make sure you do your job really, really well. You are probably thinking…lame, that’s so obvious. But is it really? There are two things that will cause your boss raise his/her eyebrows: one, you’re doing something wrong or two, you’re taking initiatives. However, most people overthink the latter and miss the point of the former. Worry about standing out later. At first, you just need to get your work done flawlessly and as efficiently as possible. This requires you to be predictable, work smoothly within your team, and be a reliable resource for getting the job done. However, often getting your own tasks done and taking initiative comes with tradeoffs. Many times, I’ve found that taking too many initiatives and trying to get those accomplished would in turn trump my ability to get my baseline responsibilities completed. Consequently, not only do your initiatives end up getting shut down, you also lose credit for getting your own tasks done. So make sure you always keep this rule of thumb in mind. #2 Do things no one told you to do. Fully executing and implementing what has been assigned to you is critical and already requires a high bar of excellence. But to be qualified as someone who takes initiatives, you need to go beyond this. Do more than what is required from you. Li Gong, the former COO at Mozilla, offered his perspective, “I have never done a boring job. I approach everything with this mentality.” So he would take the initiative to do things that he felt were enjoyable to do and the right thing to do. The moderator, Wenxiang Ma, who is the CTO & EVP of Engineering at Arena Solutions, added on the importance of having the right mentality about taking initiatives, “It does not equal to making a name for myself in the company.” It’s not just about doing big projects, but also small and personal gestures. Yiying Lu, the designer of Twitter’s Fail Whale, also designed the 4 Chinese culture related emojis. No one told her to do that for the community. After she did a project with Twitter’s Capacity Team, the design work brought a big smile to the face of the team’s “most serious” engineering manager. She perceived her true calling of bringing more art and fun to the tech world, and decided to do the thing no one asked her to do: move to the Valley from 8,000 miles away. In order to care about and devote ourselves fully to something, we have to consider it ours. 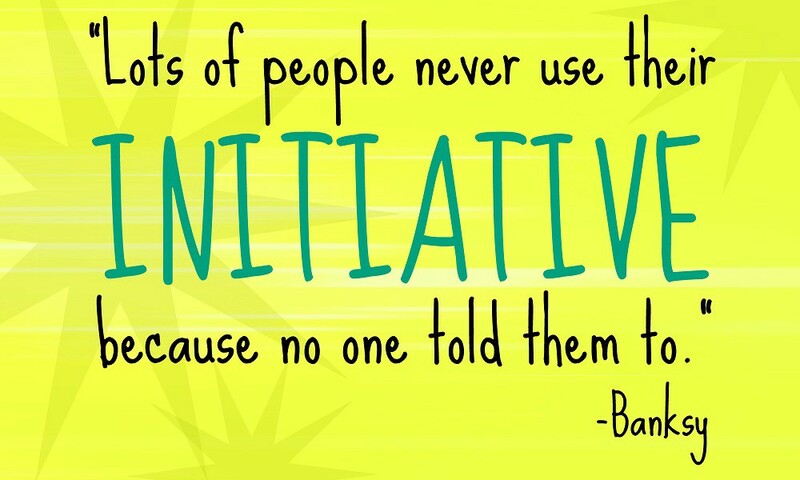 Thus, take full ownership of your initiatives at work. Each success and each achievement of the organization is yours as well. As soon as you establish this mindset, you will start caring about the details and dedicating all of your effort to achieving great outcomes. Initiative usually starts from asking the right questions, but remember to follow through with proposals of solutions and the behind-the-scenes planning and execution. Panelist Maria Zhang, CTO of Tinder, shared how in 2010 she quit Microsoft to start her own mobile company without knowing anything about mobile development. She took the initiative to learn and followed through on her idea. Eventually, Yahoo acquired her company. Paul Song is the Director of Marketing Strategic Planning and Analysis at Airbnb. He once was surprised by one of his friends, who definitely knew how to take initiatives but didn’t apply that to the workplace. If you have difficulties taking initiative at work, think about how you’ve taken initiative successfully in other aspects of your life. If you think of yourself as the owner of your product, your company culture and your career, then it becomes easier to apply this same framework at work. Paul also walks his talk. At work, he asks questions to all the related stakeholders: PM, marketing, business planning and gets to understand how the platform works as a whole. Li Gong started with a story of when he was at Sun Microsystem in 1996. He was doing remarkably well at the company, and then the management team asked him if he’s willing to help set up a team in China, where at the time, the labor cost was ⅕ of the US tech workers. Things started to collapse at that point. People who were based back in HQ began to hear weird comments and formed discussions about how to get the promotion without anyone reported to them. Because all the jobs had been moved away from them! 1, Find a mentor, knowing where the company is heading to. Because you need to make sure your initiative is needed by the company or aligned with the direction the company is heading towards. 2, Starting by asking “Why not” instead of “Why,” and adopt this into your mentality. 4, Even if it requires working extra hours, master doing something that’s required for your job. 5, Voluntarily take care of things even if they are small. During the two months of intensive preparation for the COMPASS event, one of our volunteers stood out because of her ability to take initiative. She signed up to be our content marketing volunteer. Instead of just waiting for us to give directions, she made suggestions to our content publishing plan and organized the discussions into a spreadsheet. Whenever we were 1 or 2 days ahead of the scheduled date for publishing, she would actively check in to see how the drafts were coming along. She followed through and did end-to-end delivery. Besides content, she also actively spread the content to different communities and groups she’s part of. Not stopping there, she then stepped in to ask other volunteers to do the same for the event. The effort she put in and initiatives she took helped lift a lot of the workload off of our shoulders. Working with her closely on the COMPASS 2018 project actually taught me how to take initiative. The video for the full panel discussion here shortly so stay tuned! Subscribe to 🎬 this YouTube channel. If you found my content is useful and helpful, help it travel far by 👏 and sharing, to get in front of more people who may need to read this . Last plugin, all of us have career questions and struggles, try this advising service for a free 1:1 session with your industry leader. I will write about my experience of using this service soon. Stay tuned!